David Kulick, ICT and Innovation Program Officer with Johns Hopkins University Center for Communication Programs, addressed a problem integral to the analysis of many development projects. That problem is assuring that when tools or resources are delivered to communities, knowledge of use needs to be delivered as well. This made me think about our discussions on One Laptop Per Child because this was a case in which large assumptions were made of the connection between a tool and results without anything in between. It may be true that a laptop can be a road towards improving education, but there has to be more to it than just delivery of the tool. Kulick explained one assumption concerning people’s knowledge of malaria. He noted a project that delivered bed nets to keep out mosquitos, but questioned whether people got the connection between the bed nets and prevention of disease. One program Kulick brought up as an example of closing these knowledge gaps is The ReMiND Project. Catholic Relief Services partnered with Dimagi, a technology innovator, to provide a service for new mothers to prevent newborn deaths and improve maternal health. The goals of The ReMiND Project are “Phone-based job aids for government community health workers and midwives; Real-time data tracking and SMS reminders to health workers to conduct home visits in the first 24 hours after birth with alerts to supervisors for missed visits; and Mobile phone birth announcements and health messages for fathers to generate demand for services and encourage healthy practices.” (source) This is an example of an eHealth practice to reduce newborn deaths. The interesting contradiction is in the material I read about The ReMiND Project I didn’t once come across anyone addressing if the people had a way to receive SMS messages. I’d like to discuss the implications of The One Laptop Per Child advertisement we saw in class on Tuesday. We discussed as a class how it was not only uninformative but also infuriatingly transparent. It targets the kind of “activists” that click buttons and make Facebook statuses about humanitarian causes after hearing strategically worded sentences similar to the ones mentioned in the first fifteen seconds of the commercial. It made me think back to an article I read recently which delineates what is commonly known as “the white savior complex,” and how often times, people that might mean well end up doing more harm than good because they have no idea what they’re doing. This One Laptop Per Child campaign could fit under this category because as we have seen in class, there have been no significant improvement in education after the implementation of the program. Since the laptops are given to the governments to distribute to the children, corrupt leaders may not go through with the distributions at all, and the technology fuels their corrupt activities instead. After taking a class about writing grants last semester, I have an understanding of how difficult it can be to receive funding for a particular project. All the bases need to be covered and every possible pitfall must be considered. This campaign does not seem to have considered all the implications and is feeding only on people’s emotions and consciences. The concept is great, but the implementation needs serious work to be effective and not detrimental. Before taking this class, I didn’t think much about the role of technology in development. Of course I recognized the significance of the spread of the Internet and knew how certain technologies could enhance a development project’s overall goal, but I hadn’t considered that information and communication technologies could be the central focus of a project. ICTs are useful tools that can bring us closer to development goals if used creatively. Learning about the uses of ICTs in development was helpful based on the lessons that both the successes and failures of ICT4D projects can teach. One of the lessons that kept recurring throughout the class was the idea that project plans should be driven by the people they aim to help. In the case of many projects donors take control and manipulate the goals to either fit their idea of what will be helpful or fit their idea of what will look good from the outside. We looked at case studies where organizations with good intentions failed because they did not communicate with their target population. Without understanding a community’s needs an outside organization cannot successfully provide development aid. We saw this in the case of One Laptop Per Child. The recipients and teachers were not consulted with to assess their needs or the possible constraints that could get in the way of the project’s success. As a result, the project has had little effect on education indicators in its target populations. One Laptop Per Child also teaches us about the danger of focusing on a project’s image. Their video showing children in under-developed areas carrying laptops appealed to the audience’s emotions and tried to portray the idealism of the project. This is an example of Oscar Night Syndrome, or the tendency to choose projects or methods based on their outward appearance and “shininess”. We studied many projects that failed based on a disconnect with reality stemming from a desire to provide immediate impressive results rather than sustainable long term improvements. This is even more of a concern with ICT4D projects than development projects in general based on their tendency to rely on technology to produce results. Technological determinism is dangerous in ICT4D because it fails to take important factors into account. I learned the most about ICT4D from real world case studies. Many of these lessons came from their failures, showing us what not to do. But during our video conference with Wayan Vota, he compared the percentage of business failures in Silicone Valley to the percentage of failures in development projects. While it is estimated that approximately 70% of development projects fail, the 30% success rate is substantially higher than the 10% success rate of business start-ups in Silicone Valley. Putting things in this perspective helps to affirm that all is not lost in the world of international development. While rates of failure are high, we can learn from our mistakes to improve the effectiveness and efficiency of future projects. In class this week, we discussed many of the criticisms of the “One Laptop Per Child” program, which gives sturdy, affordable laptops to children in developing countries. Some of these criticisms include the fact that the model is entirely dependent on the computer itself, which could break, the fact that the teachers are almost completely left out of the equation, the financial instability of the project, and the fact that the local historical context is rarely considered in the implementation of OLPC. Studies have shown that the program has caused very little improvement in learning benchmarks or economic indicators in most cases. However, there are other voices on the ground who argue that OLPC is making a big difference. For example, Maureen Orth, an award-winning journalist, Peace Corps volunteer, and founder of the Marina Orth school in Medellin, Colombia states that OLPC is “the most wonderful tool they could possibly have.” In an isolated region plagued by gang-related and drug violence, Orth says that One Laptop Per Child is making a big difference to children’s education. According to her, computer and English skills are essential to helping children compete in the global market. She also says that the laptop keeps children interested because they view activities as a game, and it teaches them responsibility because they take it home. I think that maybe the key to OLPC’s success at Orth’s school in Colombia is that they design their own curriculum and put a lot of emphasis on teacher training. These are traits that make Orth’s school different from other places where OLPC has been implemented. Despite One Laptop Per Child’s many flaws, Orth’s on-the-ground perspectives shows that it can be successful in improving children’s education in developing countries if it is implemented in the right way, such as keeping the emphasis on teachers and being aware of the local context. 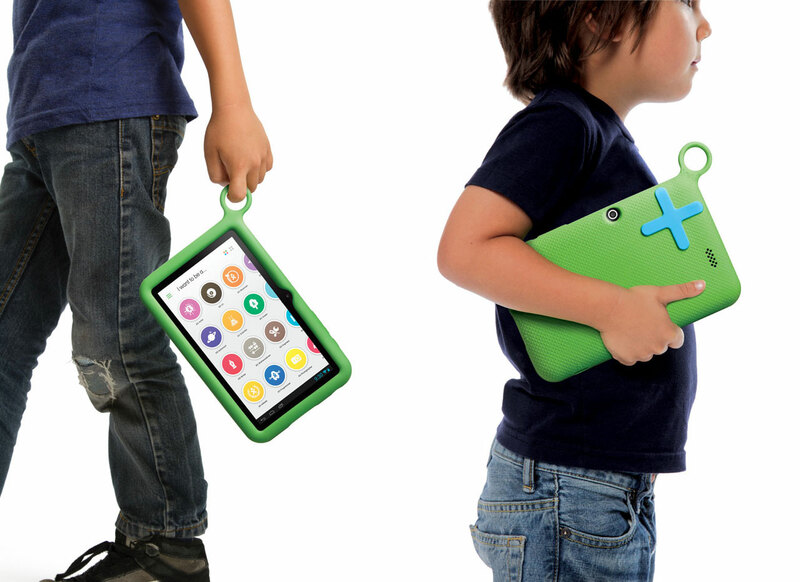 OLPC Turns to …. Tablets? One Laptop per Child (OLPC) recently discovered that there was another market for ICTs and education – tablets! This new tablet aims to help children learn information and skills that will help them reach their aspirators and dreams. In addition to being able to find these tablets in pilot programs such as in Uruguay and Cambodia, you can find them at your local Target, Walmart, and online at Amazon for $150! My first concern with these tablets is why are they being sold at places in the US? I originally thought that it was similar to the give a tablet get a tablet idea (or in this case buy a tablet give a tablet), but this isn’t the case. As OLPC says on their FAQ page, “Proceeds from the XO Tablet purchases will be used to further develop the XO learning software and enhance it to address the needs of a larger population of children.” This shows it is definitely not directly impacting children in the developing world. Also, Walmart and Target must be making some sort of profit off of selling these tablets in their stores, which makes me wonder how much of this money is actually being used to work towards OLPC’s goal. Another concern that I have is the “dreams and aspirations” component. While in the United States (where this concept started) it may be easy to come up with universal dreams and aspirations, I can’t imagine this being so easy for other countries. The tablet opens up with “I want to be…” and examples such as astronaut, musician, artist, and mathematician. These just aren’t the same dreams that children in the developing world have. For example, in an article about children in Ethiopia getting tablets, a girl says that when she grows up she wants to be a truck driver. While OLPC says they are going to change the goals and aspirations based on country, I wonder how they are going to incorporate a dream like truck driver into their platform.